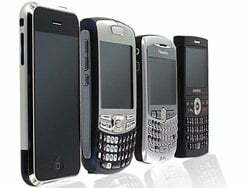 The global user base of smartphones increased at the same time by 38 percent year-on-year to an estimated 470 million active users in 2010. In the next five years, the global user base of smartphones is forecasted to grow at a compound annual growth rate (CAGR) of 42.9 percent to reach 2.8 billion in 2015. According to the report’s authors, smartphones are receiving more attention from handset manufacturers, network operators and application developers. Most importantly, an increasing number of users are now discovering how smartphones can act as personal computing devices enabling access to the mobile web and applications, besides voice and text services. Although high-end devices tend to get most attention, the primary growth will come from medium- and low-end smartphones. “Chipset developers and handset vendors are working on technologies that will ensure a good user experience also for low cost smartphones”, said André Malm, Senior Analyst, Berg Insight. “The challenge is to develop a handset with enough memory, graphics performance and processing power to run the operating system with multiple applications while ensuring a responsive system with fluid user interface and still keep costs down”. He added that smartphones in general will also benefit from advancements in chipset design. In the next five years, further performance increases will come from dual- or quad-core application and graphics processors. These new processors will enable smartphones to rival the performance of dedicated gaming consoles and notebook computers. At the same time, new user interfaces will be developed that make better use of sensors such as accelerometers and gyroscopes as well as cameras to detect movement or gestures without the need to touch the display.